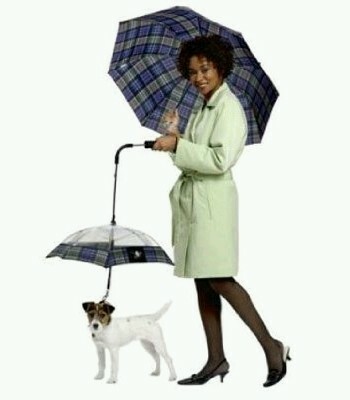 Your pet needs an umbrella too. Here's a matching designs umbrella set for you and your pet. The unique design features a transparent view area for observing your pet and an adjustable handle. The Pet Umbrella Leash Attaches Easily to Collar. The matching plaid patterns for you aned your pet is sure to get compliments from friends and passerby's alike.